Laura, Owner Coco I spent seventeen years owning and operating health clubs on the Eastern Shore of Maryland and Delaware. Three years ago, I packed everything up and went on a six month journey to the Keys. I spent my days biking, working out, fishing, and even alligator hunting. I enjoyed fresh lobster and mango, the sights of Key deer, the ocean breeze and warm sunny weather. But duty and family called. So I returned to Maryland in search of my next adventure. I was offered a job with one of the largest grocery chains; something I did back in the early 80's. 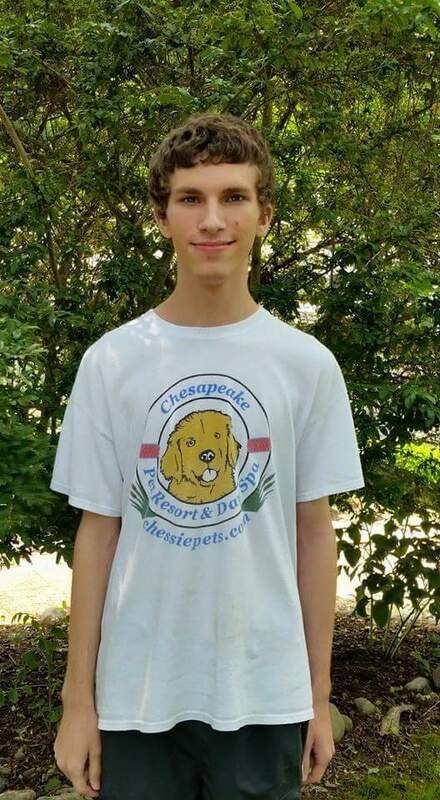 It was a two year plan which then led me to the Chesapeake Pet Resort. A dream come true! A place to call my own and love what we do with four legged furry friends. Mary is our Operations Manager and has been with us since 2005. 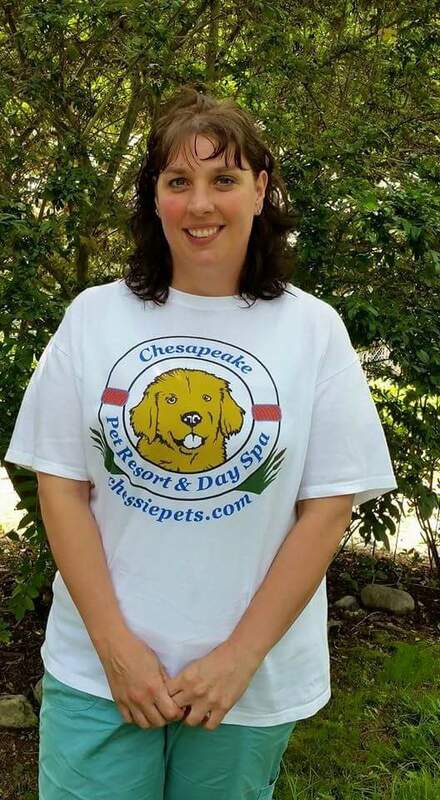 With many years of proven pet care and grooming experience, Mary oversees the daily operations to ensure “above and beyond” pet and customer care. 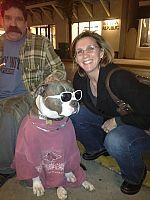 Mary is also experienced with dog training and handling techniques as wells as certified in Animal T-Touch therapy. 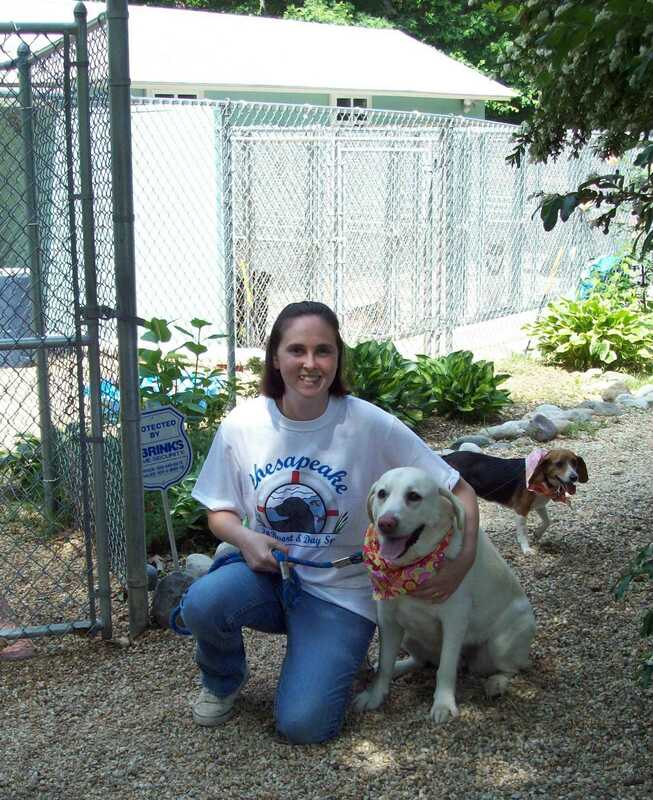 Mary is also a PCSA Certified Pet Care Technician and Advance Pet Care Technician, and Red Cross Certified in Pet First Aid and CPR. In addition to supervising daily operations, Mary also supervises our extensive staffing and scheduling needs throughout the year. 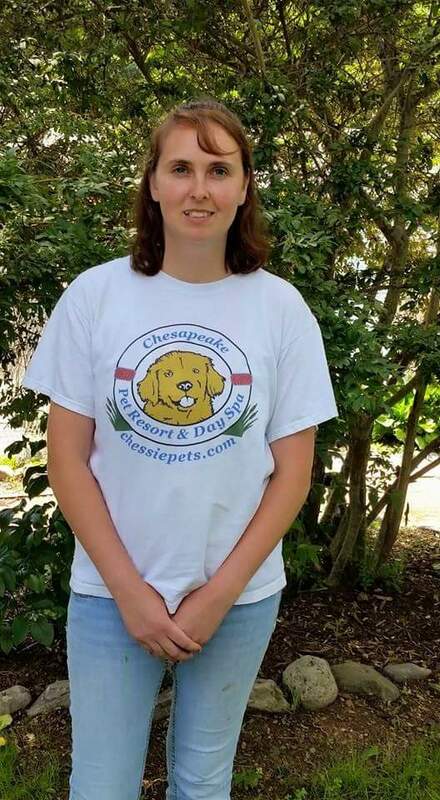 Mary has also previously been a member of the Southern Maryland Search and Rescue Dogs group, and a volunteer with local pet rescue groups. A native of St. Mary's County, Mary currently lives in Lusby with her husband, daughter, and their 3 dogs, and 1 cat. Linda has worked with us for many years, and after a brief sabbatical to pursue some other exciting opportunities, is back on board with us, ensuring excellent customer and pet care around the clock! Linda is also Certified by the Red Cross in Pet First Aid and CPR. William is one of our valued Pet Care Assistants, and does a great job making sure all of the pets are clean, safe, and loved! Despite being outnumbered by all the females that work here, William fits right in and we love having him on our team!